Over the next two weeks, Tamer Hamam, a 31 year-old Palestinian photojournalist working in Gaza, will be taking over our Instagram account. Tamer: I’m 31 years old and from Gaza in Palestine. I got my B.S. degree in Business Information Systems from Al-Azhar University and now I am studying at Al-Aqsa University in the Faculty of Media. I work as a freelance photographer, especially with NGOs such as Mercy Corps and Right to Play. I am also working now as a part time media coordinator for General Union for Cultural Centers (GUCC) and in addition I work as a photography and social media instructor. I also participate in a lot of photography exhibitions and have won some awards. CK: Can you talk about your work at the Social Developmental Forum and what the organization does? Tamer: I worked for two years as a media coordinator at the Social Developmental Forum. My responsibilities were to document all the activities and events with photos and video, write the news about the organization and send them to the agencies, follow up the pages on social media and coordinate with other organizations to execute the activities. The Social Developmental Forum (SDF) is a civil organization, operating in the Occupied Palestinian Territories, established in 2006. It was created by a group of community youth and women activists in order to create a module for civil work that provides various developmental services for a wide range of social sectors through developmental interventions that correspond with the real needs of its target groups. Tamer: Photography is my passion and I was always interested in doing it before I pursued it as a career. I love to document daily life through street photography and I think that each person has a story that deserves to be documented and I am happy to be the person doing it. CK: What is a typical week like for you? What are your favorite Palestinian dishes? Tamer: I usually drink my coffee with my wife every morning then I go to my work for 2 – 4 hours and I sit on the internet for 3 hours every day to follow up my social media accounts and watch videos and read articles about photography and social media . 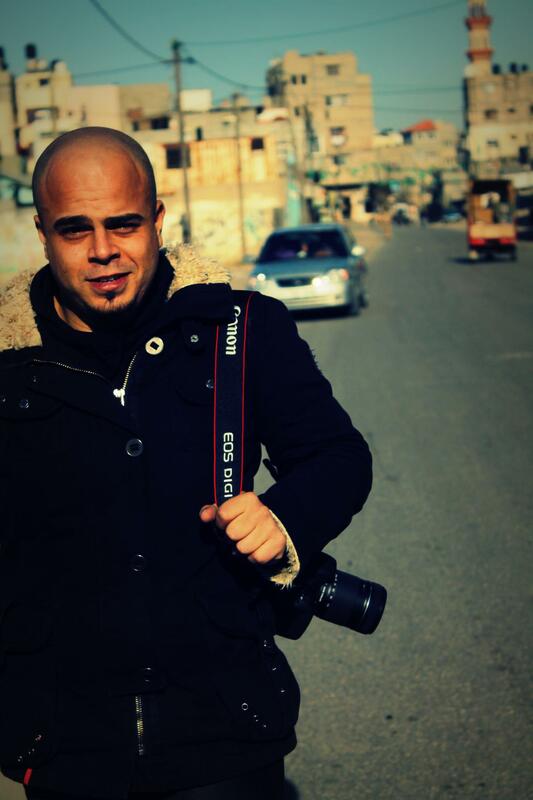 I go for a walk 3 times per week and on the weekend I go on photography trips to the cities and camps in Gaza Strip. Sometimes I go to events, some of them as a guest and sometimes to document them. My favorite Palestinian dishes are: Maqloba, seafood , and Dawali (grape leaves).